28 Feb 2018 --- Cholesterol’s deadly relationship with heart disease is well known around the world today. Cardiovascular disease continues to be one of the world’s most urgent health problems – for example, heart failure affects about 6.5 million adults over age 20 in the US, according to the American Heart Association. With heart disease also the leading cause of death for both men and women, potential nutritional solutions to cholesterol lowering are at the forefront of companies’ thinking. 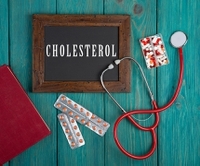 Reducing levels of low-density lipoprotein (LDL), the so-called “bad” cholesterol, is therefore the name of the game for many in the nutritional space. Outside of nutrition, the main form of defense against cholesterol is generally considered to be the use of statins, drugs that lower the level of cholesterol in the blood by reducing the production of cholesterol by the liver. There is no doubting their efficacy; they were recently found to reduce heart disease deaths by 28 percent in men with high levels of “bad” cholesterol in the largest ever study of its kind. The drugs may have additional health benefits, as they have also been linked to helping patients with alcoholic cirrhosis. In an Alimentary Pharmacology & Therapeutics analysis of data from the Danish National Patient Registry, patients with cirrhosis of the liver due to alcohol had a 43 percent lower risk of dying prematurely than patients not on statins. “Our finding supports the hypothesis that statins may ameliorate the course of cirrhosis and decrease the rate of fibrosis,” said Dr. Ulrich Bang, lead author of the study. In addition, statin use has been connected with a reduced risk of serious bacterial bloodstream infection. A study published in Mayo Clinic Proceedings suggested that users of statins have a 27 percent lower risk of contracting a Staphylococcus aureus (S aureus) bloodstream infection outside of a hospital. Drug-based solutions aside, more and more evidence seems to be emerging linking the benefits of natural ingredients and a plant-based diet with a preventative reduction in cholesterol and thus a lower chance of developing heart disease. “Natural solutions tie in nicely with the global trend towards clean living and the idea that prevention is better than cure,” Dan Souza, Naturex Global Category Manager, tells NutritionInsight. “Within our healthy ageing platform we have two clinically proven cholesterol reduction solutions: CocoActiv (a cocoa extract) and Aronox (an Aronia extract). Research has shown them both to reduce total and LDL cholesterol through the underlying mechanism of increasing blood flow by improving endothelial function,” Souza notes. Meta-analyses suggest improving blood flow by 1 percent, measured by Flow Mediated Dilation, can lead to an 8-12 percent reduction in the risk of cardiovascular disease. Therefore, endothelial dysfunction may be a useful tool for establishing the risk of cardiovascular disease as a result of conditions such as high cholesterol. Underlining the ingredient’s merit, CocoActiv has been awarded an 13.5 health claim by EFSA as follows: "Cocoa flavanols help maintain the elasticity of blood vessels, which contributes to normal blood flow." Naturex recently acquired Swedish Oat Fiber, a leading manufacturer of oat-based ingredients, with a key international position as a producer of oat beta glucan dietary fibers. Science and innovation have always been key drivers of Swedish Oat Fiber's development and many published clinical studies have resulted in a number of health claims, approved by various regulatory authorities throughout the world. One of the leading breakthroughs was the discovery of oat beta glucan's cholesterol-lowering properties, especially in people with metabolic syndrome. “Swedish Oat Fiber’s cholesterol reduction solutions will complement our existing offer. This means our customers now have a greater choice of ingredients for cholesterol reduction applications, helping them to innovate and target new demographics and markets,” Souza notes. Similarly targeting cholesterol-lowering solutions is Wacker. The company has introduced HTEssence, which contains Hydroxytyrosol is a bioactive compound found in olives. The company notes that this ingredient is considered one of the most powerful antioxidants with numerous health benefits. A recent human clinical study demonstrated that HTEssence is able to significantly reduce LDL (low-density lipoprotein) cholesterol. In turn, this might lower the risk of coronary heart disease. Because of the global trend towards a healthy lifestyle and disease prevention, hydroxytyrosol is seeing rapid growth in market demand, especially for dietary supplements, the company notes. Plant-based diets have also proven their cholesterol-lowering merit in a range of studies. For example, a review and meta-analysis by Dr. Yoko Yokoyama, Ms. Susan Levin and Dr. Neil Barnard found that consumption of vegetarian diets, particularly vegan diets, is associated with lower levels of plasma lipids, which could offer individuals and healthcare professionals an effective option for reducing the risk of heart disease or other chronic conditions. The researchers’ meta-analysis of 30 observational studies and 19 controlled trials showed that, compared with consumption of omnivorous diets, consumption of vegetarian diets is associated with lower plasma lipid concentrations. In addition, preliminary research presented at the American Heart Association’s Scientific Sessions 2017 event for global advances in cardiovascular science showed that eating a mostly plant-based diet was associated with less risk of developing heart failure among people without previously diagnosed heart disease or heart failure. “Eating a diet mostly [consisting] of dark green leafy plants, fruits, beans, whole grains and fish, while limiting processed meats, saturated fats, trans fats, refined carbohydrates and foods high in added sugars is a heart-healthy lifestyle and may specifically help prevent heart failure if you don't already have it,” summarized Lara. Time will tell if plant-based diets will be a lasting, recommended solution to the problem of high cholesterol, but it will be worth watching to see if the diet is maintained by its potential lifesaving benefits. At the same time, the benefits of statins may extend further beyond cholesterol lowering, meaning that they will probably not be going away as a medical solution any time soon. It would certainly be unwise to take one’s eyes off cholesterol-lowering benefits in the future.